Australia, Kosciusko Meadow, 1996 - When I climbed Kosciusko, my friend, great Australian adventurer, Jon Muir, told me of a nice route to climb it by, which started at -- if I recall -- Kangaroo Flat -- or some such place, and went up through a eucalyptus forest. 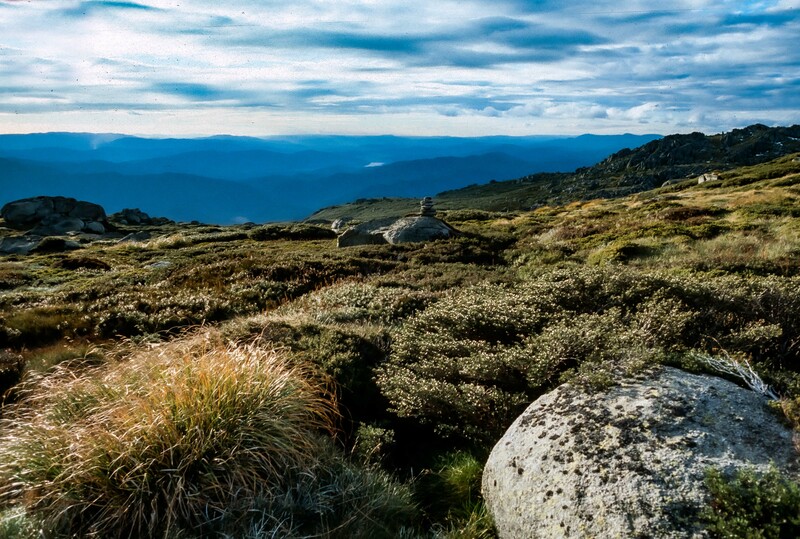 I wrote: \"about 16 km up 1800m ascent of Mt Kosciusko, my fifth of the 7 summits, took 5 hours exactly from the 15.5 sign, and somewhat over 4 hours back, darkness delayed me, slipped, sprained my ankle many times!, great alpine territoty\". This photo was taken near the top.